RBTH presents a selection of views from leading Russian media on international events, featuring the results of a poll showing that anti-Western sentiment in Russia is now higher than at any time since the fall of the USSR, ongoing controversy over the Bolotnaya Case, and opposition from the Kremlin to an initiative to ratify an article of the UN Convention against Corruption. The Vedomosti business daily reports the results of a Levada Center poll on Russians' attitudes to the West and the U.S. Negative feelings towards the U.S. were expressed by 81 percent of those polled (a year ago the figure was 44 percent), while the number of Russians who describe relations between Russia and the U.S. as hostile has grown more than tenfold over the past year (from 4 to 42 percent). 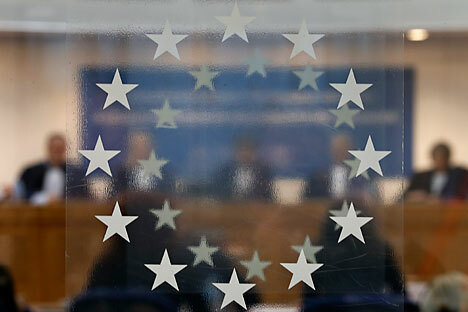 Negative sentiments towards the European Union were voiced by 71 percent of Russians, with 24 percent describing relations with the EU as hostile (as compared to 1 percent a year ago). "Russians’ current attitude to the West and the U.S. is the worst in the 25 years of studies, which has to do with the situation around Ukraine and a lack of understanding of the nature of the sanctions," said Alexei Grazhdankin, deputy head of the Levada Center. Political analyst Alexei Makarkin told the paper that in his view the situation was unlikely to change any time soon. Russians traditionally differentiate between a "bad" U.S. and a "good" Europe. However, even before the events in Ukraine started, they began to develop a new attitude toward Europeans, seeing them as people who have given up their values, Makarkin said. As a result, some people began to assert themselves through “traditional values,” while others admitted that Russia could never catch up with Europe. This was further exacerbated by propaganda and sanctions. The centrist Nezavisimaya Gazeta newspaper reports that in response to a query from the European Court of Human Rights regarding the circumstances of the so-called Bolotnaya Case (a controversial criminal investigation launched by the Investigative Committee of the Russian Federation into the alleged organization of riots at a protest on Moscow’s Bolotnaya Square on May 6, 2012), the Russian government has asked the court to reject complaints from some of the defendants against the verdict. Lawyer Dmitry Agranovsky explained to Nezavisimaya Gazeta that there were two sets of complaints regarding the Bolotnaya Case. The first concerned the course of the investigation, i.e. illegal detentions, inhumane treatment, unlawful extension of custody, while the second concerned the verdict and violations during the trial. Complaints pertaining to the investigation, he continued, were a long time ago combined into a single case. Overall, there were eight lawsuits against Russia. Correspondence on them was completed in September 2014. All that remains now is to wait for the European Court’s ruling. The Kremlin, the Interior Ministry and the Justice Ministry have spoken against a public initiative to ratify Article 20 of the UN Convention against Corruption, which makes the “illicit enrichment” of public officials whose assets considerably exceed their income a criminal offense, the Kommersant daily reports. The initiative was put forward by opposition figurehead Alexei Navalny’s Foundation for Fighting Corruption (FBK), which collected some 100,000 signatures online in support of the drive, making it obligatory for the government to consider the initiative. A conclusion written by the anti-corruption division of the presidential administration, a copy of which became available to Kommersant, says that the new penalty would be excessive for Russian legislation. “Activities which can produce these assets (embezzlement, abuse of power, etc.) are already criminal offenses,” explains the head of the division, Oleg Plokhoi. An FBK lawyer, Lyubov Sobol, told the paper that “dismissal from civil service” is too lenient a punishment for public officials who have enriched themselves. According to a new article in the Criminal Code, criminal liability is envisaged only for those who show a gap of 50 million rubles (and more) between their three-year income and spending. “If it turns out that there was a bribe, the official will be prosecuted for bribery,” Sobol said. For its part, the Interior Ministry is concerned that the emergence of a new article in the Russian Criminal Code may create double liability for the same wrongdoing, whereas the Justice Ministry points out that provisions of Article 20 of UN Convention against Corruption are already implemented in Russian law.